Etowah (Tumlin) Mounds Historic Marker; near Cartersville, Georgia Photo by Stephen Rahn/Flickr (Noncommercial Use Permitted with Attribution). 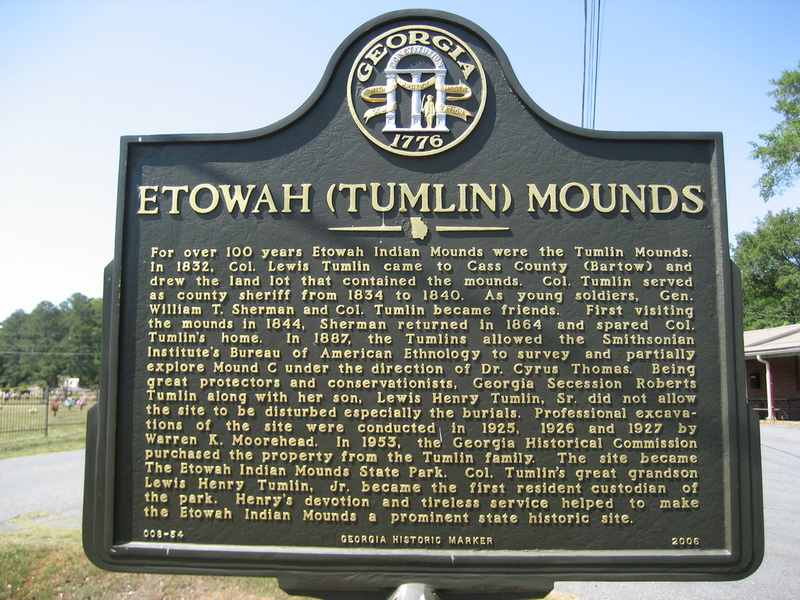 For over 100 years Etowah Indian Mounds were the Tumlin Mounds. In 1832 Col. Lewis Tumlin came to Cass County (Bartow) and drew the land lot that contained the mounds. Col. Tumlin served as county sheriff from 1834 to 1840. As young soldiers, Gen. William T. Sherman and Col. Tumlin became friends. First visiting the mounds in 1844, Sherman returned in 1864 and spared Col. Tumlin´s home. In 1887, the Tumlins allowed the Smithsonian Institute´s Bureau of American Ethnology to survey and partially explore Mound C under the direction of Dr. Cyrus Thomas. Being great protectors and conservationists, Georgia Secession Roberts Tumlin along with her son, Lewis Henry Tumlin, Sr. did not allow the site to be disturbed especially the burials. Professional excavations of the site were conducted in 1925, 1926 and 1927 by Warren K. Moorehead. In 1953 the Georgia Historical Commission purchased the property from the Tumlin family. 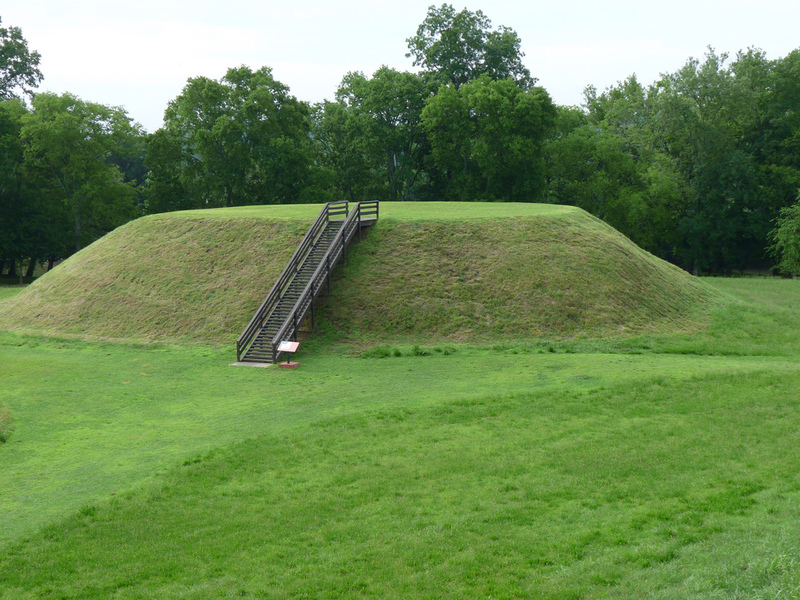 The site became The Etowah Indian Mounds State Park. Col. Tumlin´s great grandson Lewis Henry Tumlin, Jr. became the first resident custodian of the park. Henry´s devotion and tireless service helped to make the Etowah Indian Mounds a prominent state historic site. 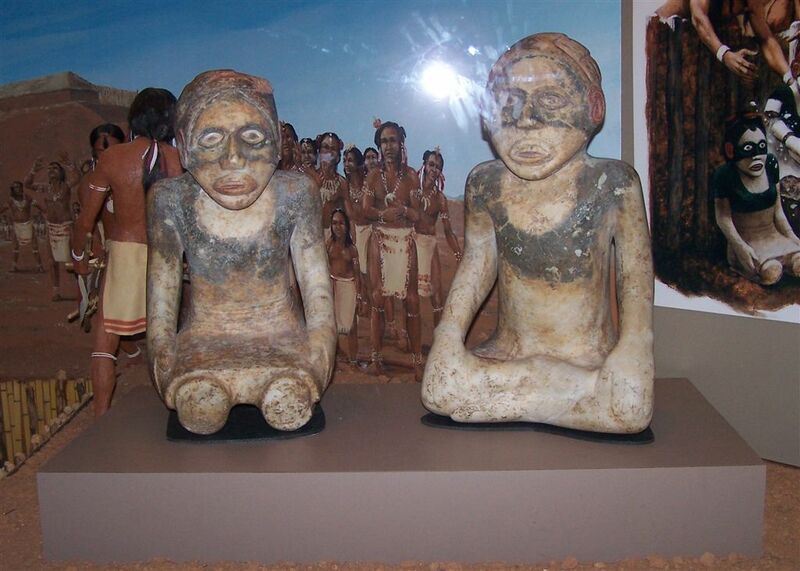 Etowah Indian statues; Etowah Mounds Historic Site, Georgia. Photo by John P/Flickr (noncommercial use permitted with attribution). Etowah Mounds historic site; near Cartersville in Bartow County, Georgia. Photo by Stephen Rahn/Flickr (noncommercial use permitted with attribution).